Now that all those cookies are baked and you’ve had enough samples; what do you do with so many cookies? Why, you give them away! In our family, part of our holiday tradition is gifting others with our efforts and hoping to make their lives a little sweeter. Many of the people in our lives do not know how to bake or do not have the time to bake. That is where we come in….we made the effort to bake because first off, we love to bake. But, more importantly, as Mom taught us; we give of ourselves. 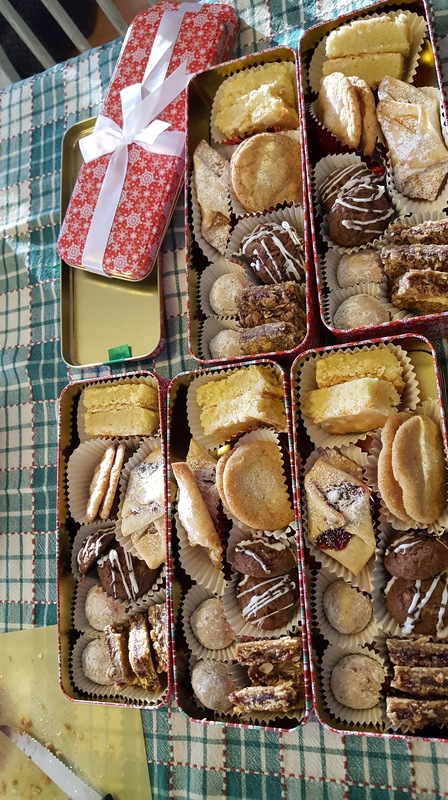 And what better way to give of ourselves than with a home-baked box or tin of cookies? 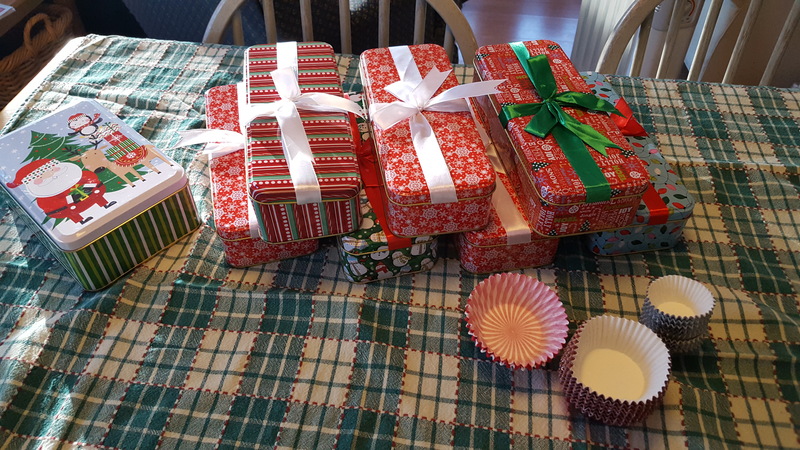 I found the cutest tins at the Dollar Store in our town and got enough to give a little treat to all the friends we’ll see this holiday season. I like to pack the cookies in cupcake papers inside the tins to keep each type of cookies separated from the other types. especially the ones dredged in powdered sugar. Also be sure to pack the cookies in the tin snug; gently yet tightly packed means less movement and less breakage. Remember to be careful when packing the cookies for anyone with dietary restrictions and be mindful of the recipient’s taste preferences. The reason we give a gift is so the person receiving it gets some enjoyment. If you give coffee cookies to a person that only drinks tea, or a Russian Teacake to a person that is allergic to nuts; that could be disastrous. When I was teaching, I always loved getting home baked goodies from my students that I could use when entertaining; it really helped me cut down on prep time and gave my guests a nice assortment of tasty treats. So, pack the tin or box with cookies you know will be appreciated and gobbled up or shared with others.